Pac-In-Time (パックインタイム?) 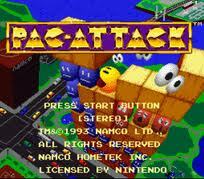 is a video game developed by Kalisto and published by Namco, featuring the popular arcade character Pac-Man. 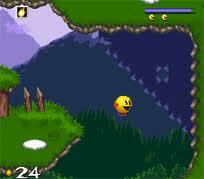 It was released in 1994 for MS-DOS, Macintosh, Super Nintendo and Game Boy. 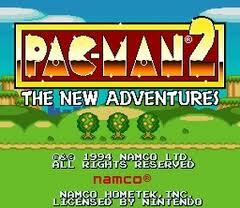 It was released shortly after Pac-Man 2: The New Adventures, which brought about the change from the classic arcade versions of Pac-Man to the development of more complex and adventurous games.This game was an offshoot from the normal variety of Pac-Man games, in that it does not confine Pac-Man to a maze-like board. 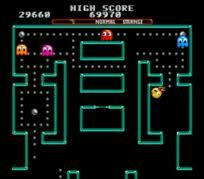 Rather, the player controls Pac-Man through various side-scrolling levels, obtaining many different items along the way; the plot does take elements from the earlier Pac-Man games, such as the objective to collect a certain number of pellets before exitting a level. 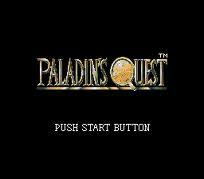 The game allows the player to access completed levels via passwords that are given every five levels. P.T.O. (Pacific Theater of Operations), released as Teitoku no Ketsudan (提督の決断?) 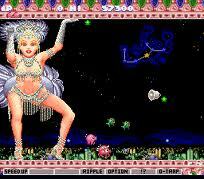 in Japan, is a console strategy video game released by Koei. It was originally released for the PC-88 in 1989 and had been ported to various platforms, such as the Sharp X68000 (1990), MSX (1991), Sega Mega Drive and the Super Nintendo (both in 1992). Players could assume one side of the Pacific Theater of Operations during World War II, acting as naval commander, organizing fleets, building new ships, appropriating supplies and fuel, and even engaging in diplomacy with other countries. The player can choose one of several World War Two battles to simulate, or could control the entire Pacific campaign well before the Japanese attack on Pearl Harbor.A sequel, P.T.O. 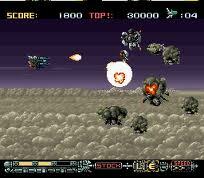 II, was released by Koei in 1995. 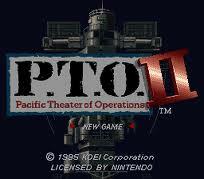 Teitoku no Ketsudan III was never released outside of Japan, but a P.T.O. IV was released for the PlayStation 2 in the US and Europe. P.T.O. II (Pacific Theater of Operations), released as Teitoku no Ketsudan II (提督の決断II?) 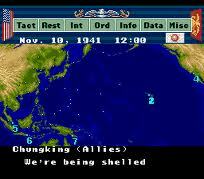 in Japan, is a Koei strategy video game that depicts the conflict between the USA and Japan during World War II. The video game is a sequel to P.T.O.. It was originally released in 1993 for the NEC PC-9801 and had been ported to various platforms since, such as the Super Nintendo Entertainment System.The NEC PC-9801 version came with an enhancement pack. A version was released exclusive in Japan for the MS-DOS operating system; it also works on Windows operating systems from 3.1 through Windows ME. 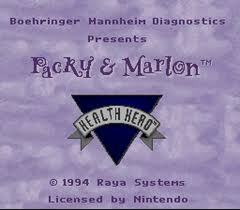 Packy & Marlon is an educational platform video game developed by WaveQuest and published by Raya Systems for the Super Nintendo Entertainment System. It was designed to improve self-care behavior in children with juvenile diabetes. The game achieved some success with treatment groups. It is a part of educational video game series from Raya that includes Captain Novolin, Rex Ronan: Experimental Surgeon and Bronkie the Bronchiasaurus. 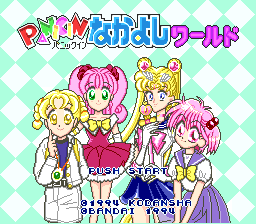 Panic in Nakayoshi World (パニック イン なかよしワールド) is a 1994 video game that was released exclusively in Japan for the Super Famicom. It features such manga series as Sailor Moon and Chō Kuse ni Narisō and Goldfish Warning! 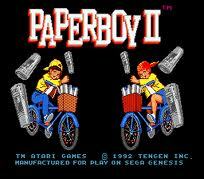 Paperboy 2 is a sequel to the video game Paperboy. It was released in 1991-1992 for a large number of home systems. While Paperboy debuted in arcades and was subsequently ported to home systems, this game was only released for consumer systems. It was released for the Amiga, Amstrad CPC, Atari ST, DOS, Game Boy, Game Gear, Sega Mega Drive/Genesis, NES, SNES, and ZX Spectrum. Pebble Beach Golf Links is a golf course on the west coast of the United States, located in Pebble Beach, California. Widely regarded as one of the most beautiful courses in the world, it hugs the rugged coastline and has wide open views of Carmel Bay, opening to the Pacific Ocean, on the south side of the Monterey Peninsula. In 2001 it became the first public course (i.e., open to the general public for play) to be selected as the No.1 Golf Course in America by Golf Digest. Greens fees are among the highest in the world, at $495 (plus $35 cart fee for non-resort guests) per round in 2008. Four of the courses in the coastal community of Pebble Beach, including Pebble Beach Golf Links, belong to the Pebble Beach Company, which also operates three hotels and a spa at the resort. The other courses are The Links at Spanish Bay, Spyglass Hill Golf Course, and Del Monte Golf Course. The PGA Tour and Champions Tour play annual events at Pebble Beach and it has hosted six major championships: five U.S. Opens and a PGA Championship. 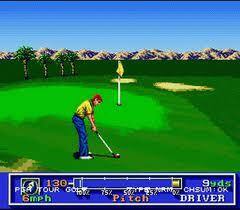 The course is included in many golf video games, such as the Links series and the Tiger Woods PGA Tour series. The PGA European Tour is an organization which operates the three leading men's professional golf tours in Europe: the elite European Tour, the European Seniors Tour and the developmental Challenge Tour. Its headquarters are at Wentworth Club in Virginia Water, Surrey, England. 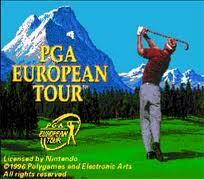 The European Tour is the primary golf tour in Europe. The European Tour was established by the British-based Professional Golfers' Association, and responsibility was transferred to an independent PGA European Tour organisation in 1984. Most events on the PGA European Tour's three tours are held in Europe, but in recent years an increasing number have been held in other parts of the world outside of North America. The PGA European Tour is a golfer-controlled organisation whose primary purpose is to maximise the income of tournament golfers. It is a company limited by guarantee and is run by a professional staff but controlled by its playing members via a board of directors composed of 12 elected past and present tour players and a tournament committee of 14 current players. As of 2007, the chairman of the board is Neil Coles and the chairman of the tournament committee is Thomas Bjørn. The European-based events on the European Tour are nearly all played in Western Europe and the most lucrative of them take place in the United Kingdom, Ireland, Germany, France and Spain. The PGA European Tour also conducts the Ryder Cup Matches in cooperation with the PGA of America. 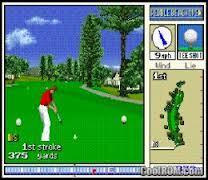 PGA Tour 96 is a 1995 sports video game originally released for PlayStation, Sega Genesis and 3DO then ported on Super Nintendo Entertainment System, Game Gear and Game Boy. PGA Tour is a series of golf video games developed and published by Electronic Arts and later their EA Sports sub-label since 1990, the series primarily features courses featured on the U.S. PGA Tour, and other notable courses (such as those that have hosted majors).In 1998, EA began publishing their golf games with the endorsement of Tiger Woods. 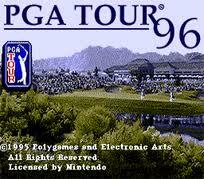 After Tiger Woods 99 PGA Tour Golf was released, subsequent titles were named Tiger Woods PGA Tour and released yearly.